Once upon a time – not very long ago – this was a very ordinary commercial street. 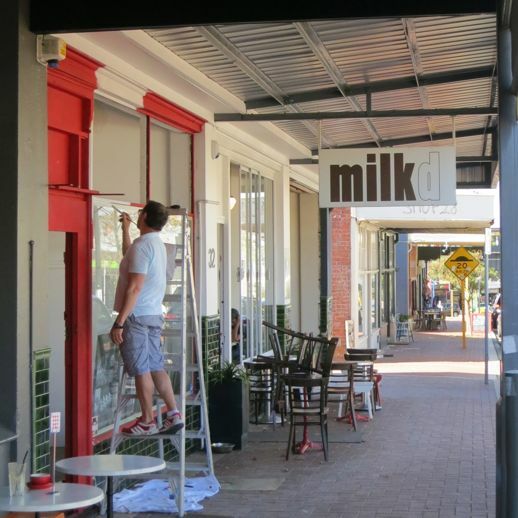 All thanks must be given to MilkD – the espresso bar who chose to open in this street first. They attracted the foot traffic. It s now an amazing commercial district with a great parade of shops. Retailers are always the core of vibrant commercial district. Check back soon to see why this street has worked.